The pumps are controlled by the Control Panel. 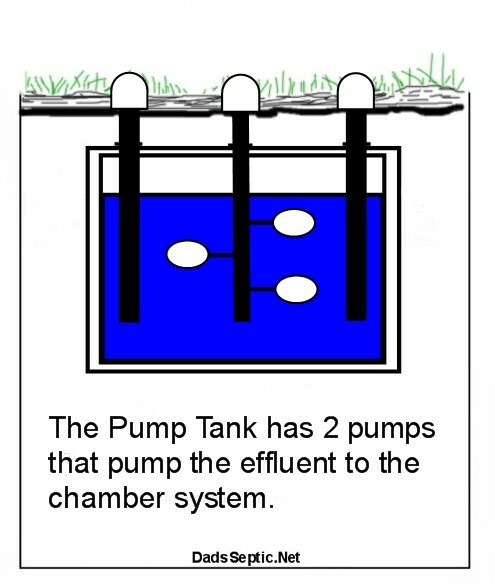 The pumps transport the effluent from the pump tank to the distribution boxes and chamber system. The Floats are located in the middle of the tank as seen in the diagram above. 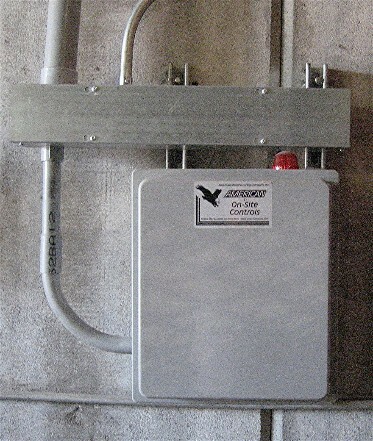 The photo above is of the pump tank after installation. 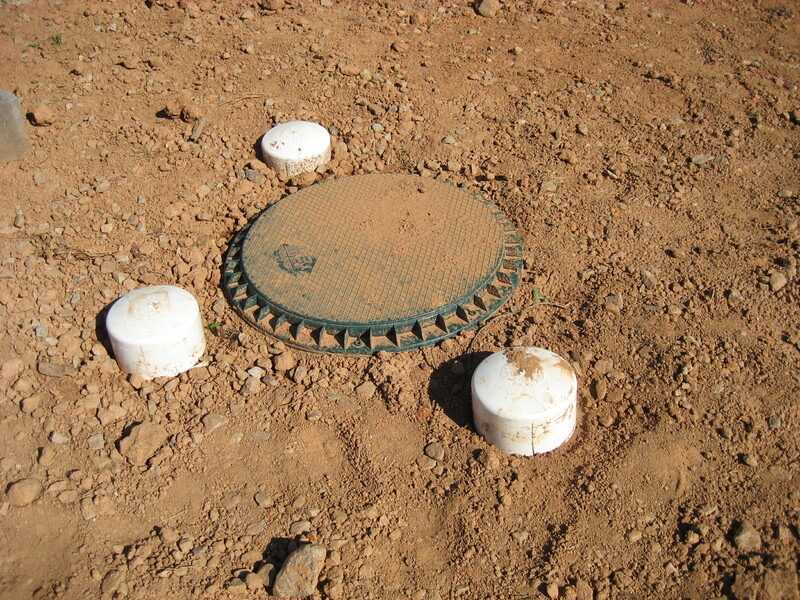 Two of the white caps are the pump housing covers. 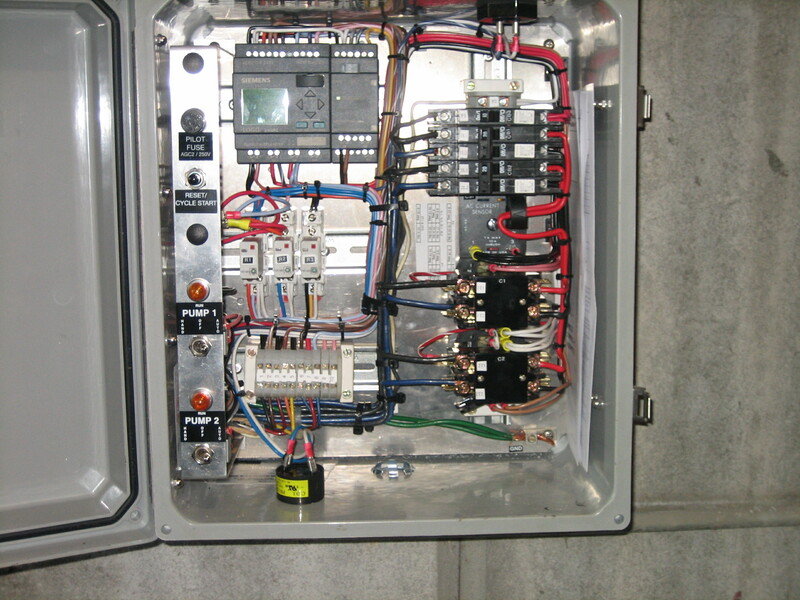 The photo above is of the Control Panel, which is located inside the factory bay.